What: PLAY! by Sephora contains 5-6 deluxe samples of beauty products in a stylish drawstring bag. Curations are based on your beauty profile so what you get may differ from other subscribers. Fun Extras: With your subscription you'll also get access to how-to videos and tutorials for everything in your bag. Bonus: Each month you'll also get a Play Pass worth 50 points when you redeem it in-store with any full-sized purchase. 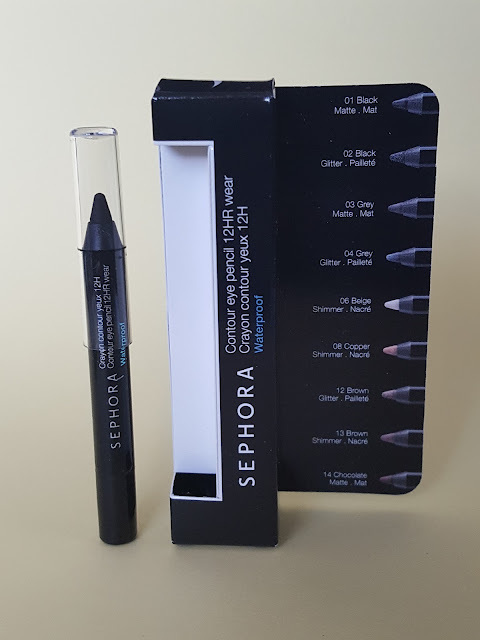 Sephora Contour Eye Pencil in Black Lace - I'm always on the lookout for long-wearing eye liners that are creamy and don't tug on application. This one fits the bill. Black Lace is a matte black that glides on smoothly and does. not. come. off. I really think their 12 hour smudgeproof claim might be accurate. Rubbing with my fingers did absolutely nothing to remove it. The swatch below is before (left) and after (right) rubbing vigorously for a good 15 seconds under a steady stream of water. I think it's safe to say it will stay put at your BFF's tearjerker of a wedding. 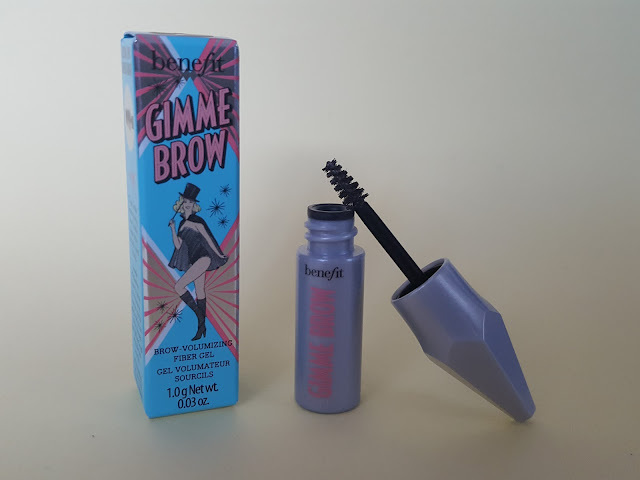 Benefit Cosmetics Gimme Brow Volumizing Fiber Gel in Dark Brown-Black - I have a confession: I was a hairy kid. Growing up I sported a unibrow until I learned how to shape it. It seemed like a curse back then but I guess it was really a blessing in disguise because brow fillers are one thing I never have to worry about. If anything I'll use some clear gel to hold the strays in place but tinted gels are never on my list of things to buy. Especially volumizing ones, which might actually make my eyebrows the center of attention. I'd rather not have people talking to my brows. 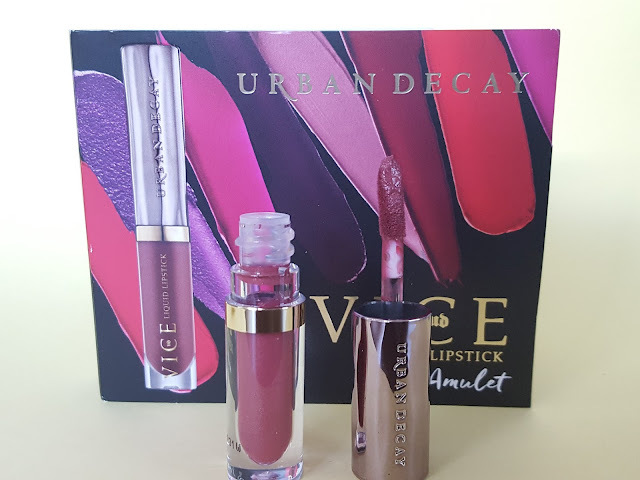 Urban Decay Vice Liquid Lipstick in Amulet - Here's another long-lasting piece of makeup. These liquid lipsticks come in a range of matte and metallic colors and Amulet is a matte brick rose. Sephora describes this as "a waterproof liquid lipstick that lays down intensely pigmented color that lasts." 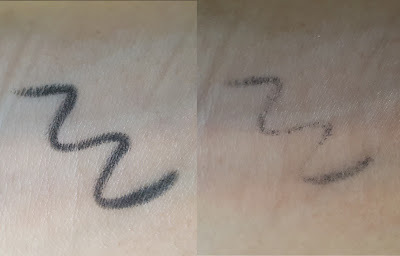 Intense pigment? Check. Waterproof? Double check. It takes a little while to set, but after 5 minutes you can be sure it'll stay put. 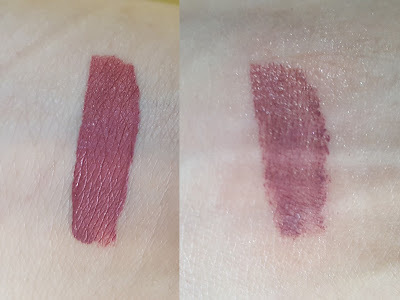 Below is before and after desperately trying to remove the swatch under water. That's about 30 seconds of rubbing like crazy. You'll need soap or something oil-based to remove this one. Or maybe time. Possibly 24 hours, to allow the color to fade and transfer to other things. IGK Hot Girls Hydrating Shampoo & Conditioner - If you've got dry or damaged hair, this shampoo/conditioner duo is for you. It deeply hydrates with shea butter and vitamin E while lychee extract helps protect from further damage and oxidative stress. 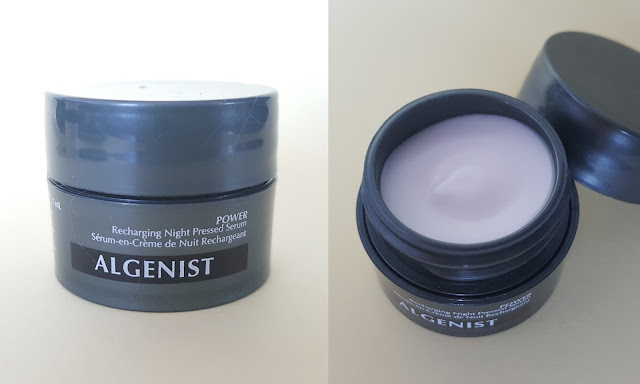 Algenist Recharging Night Pressed Serum - This solid serum fights the effects of aging with alguronic acid algaprotein. It hydrates skin to leave it soft and supple, reducing the appearance of wrinkles. 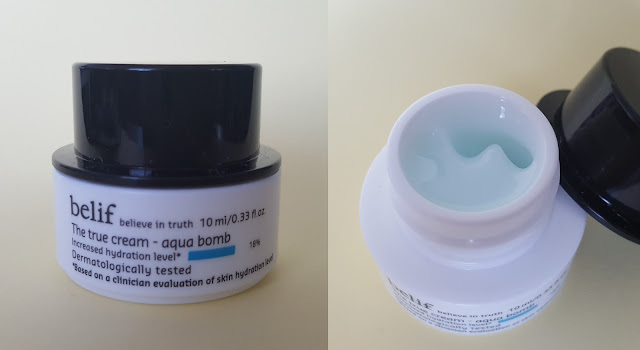 Belif The True Cream Aqua Bomb - I'm a huge fan of gel creams because typical moisturizers leave my oily skin feeling greasier and 99% of the time will result in a breakout. This oil-free aqua bomb cools and refreshes skin yet still provides intense hydration. My only gripe is that the scent is a bit strong and medicinal. It does contain lady's mantle which has some antioxidant properties, maybe that's what the herbal scent is from? Verdict: I've been wanting to see what this subscription was all about ever since its inception and this bag comes close to what I expected. It's pretty much what I've been wanting Sephora (or any beauty store for that matter) to do for years. Give me more-than-one-time-use samples so I can decide for myself if I like it or not rather than have a salesperson try to sell me the full size of something they insist I will love. And if I do happen to love an item then I can easily head to my local Sephora and pick up the full size version. Click here to subscribe to Play by Sephora for just $10 a month. 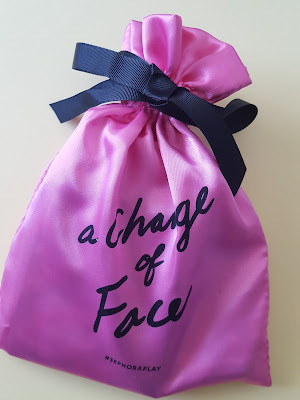 You'll get a bag full of deluxe samples of makeup and cosmetics to try before buying. 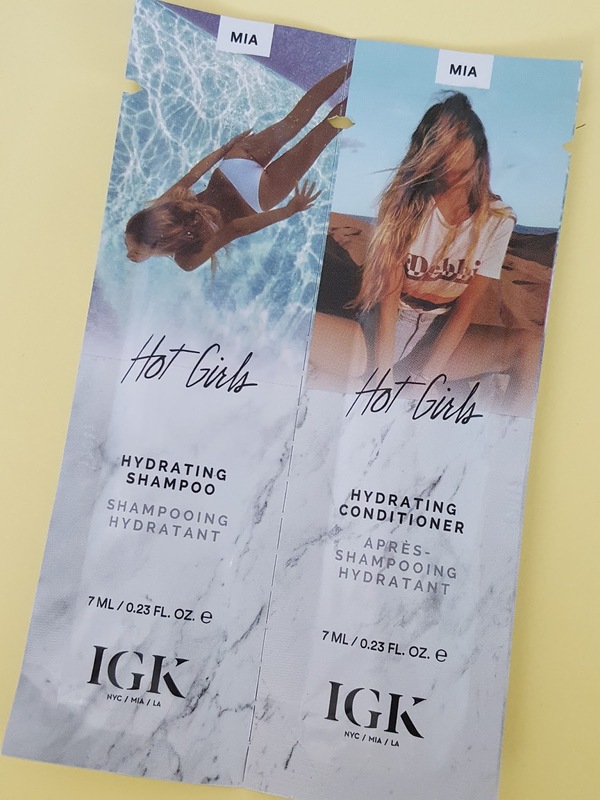 And if you do end up loving it you can purchase the full size straight from your account. How convenient! Note: No referral links were used in this post. All opinions expressed in this review are my own.